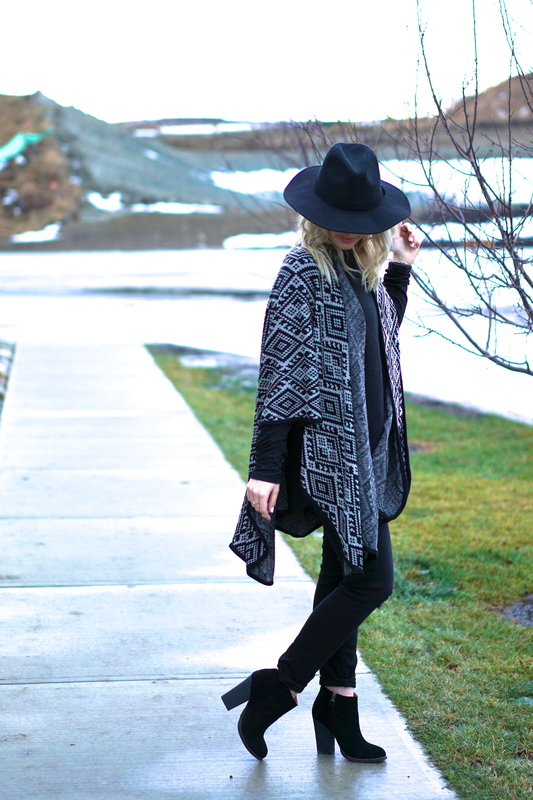 Cozy Cape - Lovely Blonde Closet "
As you can tell, I am all about the casual layered looks lately, I can thank the chilly weather for that! 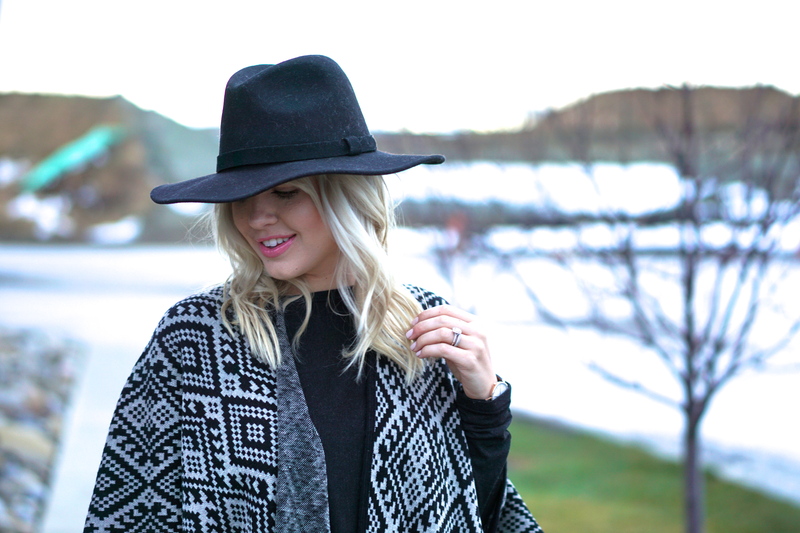 I can’t complain though because I get to bundle up in adorable capes like this Luxe & Lace one. I have been so into these skinny black distressed jeans lately – so comfortable and they work with everything. If you’re on the hunt for some, I found a couple similar ones here, and here. Side note: Can anyone else believe it’s only 10 days until Christmas? I am in shock – and scrambling. I always feel so ahead of the game because I start Christmas shopping early, but then I end up leaving so many people/things until the last minute, the worst! So you can bet I will be at the mall this week at least a few times hustlin’ to get it done. Is anyone else in the same boat as me? I definitely need to work on time management when it comes to Christmas shopping – oopsies! I hope you all had an awesome weekend – and did your best to avoid the shopping crowds. I absolutely love this outfit Amaris! Especially loving the boots and cape!